It's kind of funny the things you stumble across when researching a topic. For example, never in a million years did I think that chilli came from Mexico. It seems that many in the online community debate the topic with a fair degree of ferocity. Some swear to it. powder that has more than one type of dried chilli, or grind your own! I always assumed it was a Tex-Mex kind of a deal. "Tex-Mex" is a word that that encompasses the blending of the cuisine of the American Southwest (not just Texas) with the influence of Mexican-Americans who have come to live in the region. 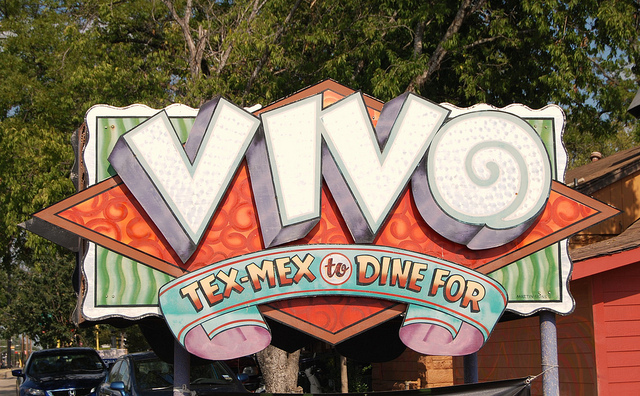 Even within the Southwest "Tex-Mex" has wide variance. Chilli is difficult to find south of the USA border except in a few places that cater to tourists. Historically, traditional Mexican cuisine has not changed for centuries so why then would it disappear, only to be kept alive in the United States? It just doesn't make sense. The best possible explanation of where chilli originated is in the Southwestern USA in the migrant worker/immigrant community. Adding vegetables (like beans and peppers) to meat made the more expensive ingredient go further than otherwise to feed a large family. The spices used brought forth memories of home. 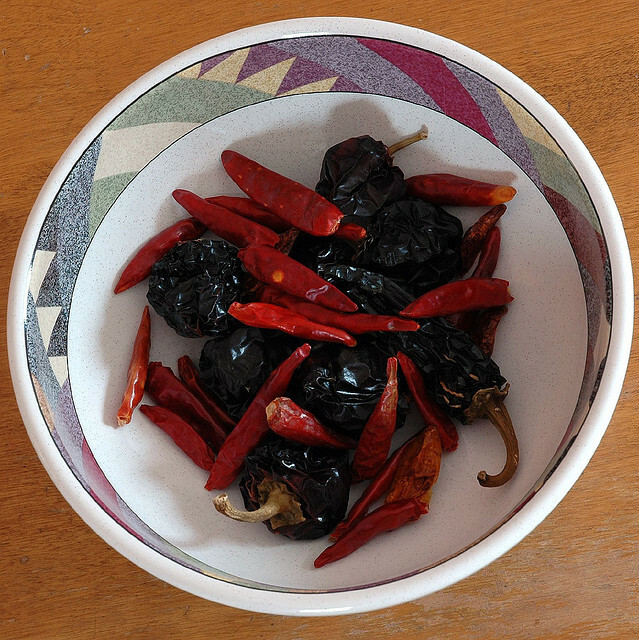 Versions of what can be thought of as chilli have been around for centuries in Spain (a colonizer of both Mexico and the Southern USA), but my money is on the practical rationale of making ends meet by being clever with resources. That’s usually where the truth lies in most mysteries – the obvious solution is usually right. Of course, talking about the best chilli is dangerous. Most states (and individual towns) lay claim to the best bowl of chilli. I would hazard a guess that trying to have the best bowl of chilli would be like trying to have the best cake in the world. Why, you ask? Think for a minute. Some like chocolate cake, some don’t. I’m not a particular fan of chocolate cake. It’s entirely personal preference. Why would it be any different with chilli, or for any other dish for that matter? Try this chilli. It’s a quick dinner ready in about 35 minutes. You can’t beat that when you’re cooking for your family through the week. 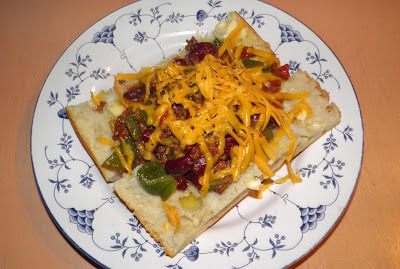 I served this on warmed crusty bread so it kind of was a chilli open face sandwich. If you don’t like this recipe change it. It’s only a recipe after all. Remember, life is what we make it. Throw in something unusual or add some spice. By the way, chilli is always better the second day, so keep any leftovers. Did I say that I don't like chilli? Well I didn't, until I made this recipe. with a full flavoured dinner. Sauté the onion, garlic and jalapeno for about 5 minutes or until the onions begin to brown slightly. Add the beef and sauté until no longer pink. Then add in the tomatoes with their liquid, wine, water, chilli, cumin and thyme. Stir in the cheese, salt and pepper. Let simmer, uncovered, on medium for 15-20 minutes. Stir it often. By the time the 20 minutes is up there should be very little liquid remaining. 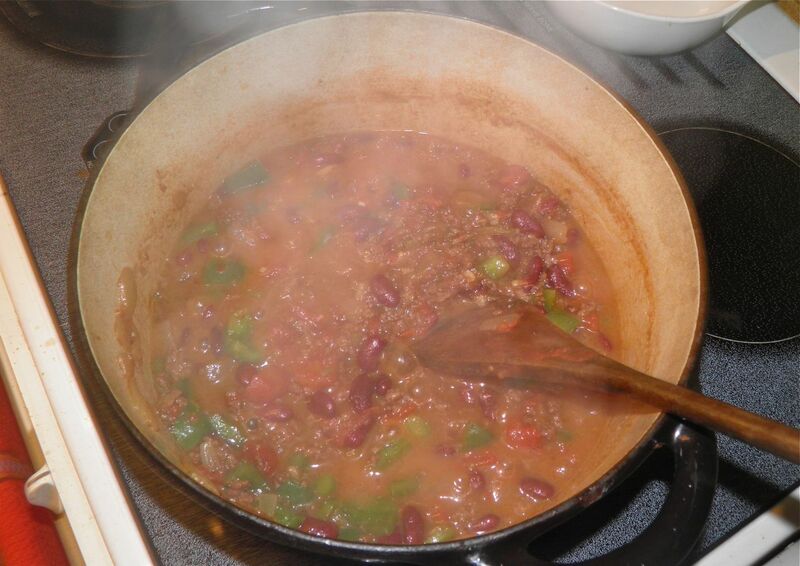 Add the green pepper and drained kidney beans and stir well. Bring back to a simmer and let the mixture cook for an additional 5 minutes until all is heated through and the green pepper begins to soften. This can be served with (or on, as I did) crusty bread, or with a side dish of rice. Grate more cheese on top if desired.